FTI AIR is the latest invention from the talents and ambitions of Finish Thompson, Inc. Finish Thompson, started in 1951 in Erie, Pennsylvania, is a USA leading designer and manufacturer of chemical transfer pumps sold around the world to a variety of industries. FTI AIR expands the reach of the company’s expertise from centrifugal and barrel pumps to the markets of the versatile, portable air-operated double-diaphragm pumps. The FTI Air product line was carefully designed by Finish Thompson engineers from the ground up, using all of the state-of-the-art computer-aided design resources available today. Each pump and material component was run-tested for thousands of hours at Finish Thompson and in the field during development. And every pump is tested prior to packaging and shipping. 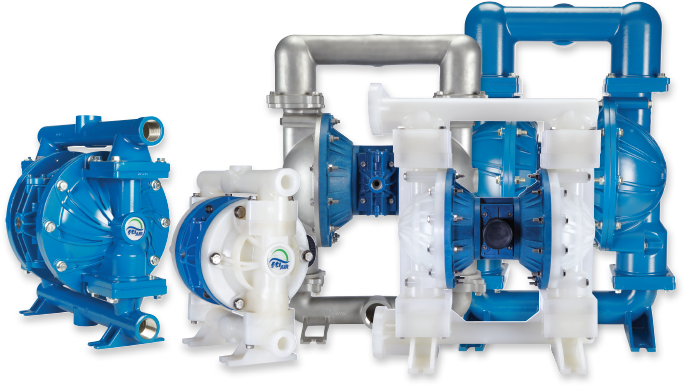 The result is one of the most reliable, rugged and affordable air-operated double diaphragm pumps on the market today.